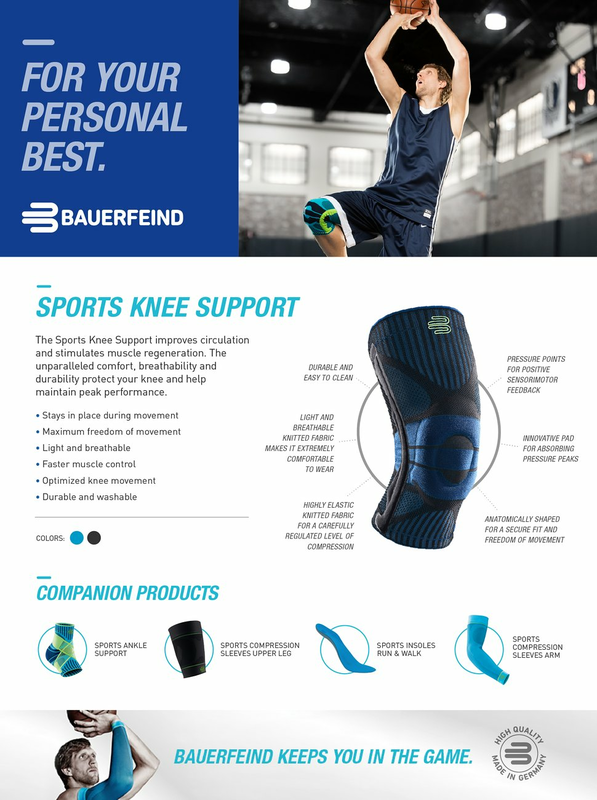 The Sports Knee Support supports the movement of the knee during sports and protects against overuse strain. The knee support exerts a beneficial massaging action with gentle compression during movement, thus improving the sensory motor function of the entire joint. Its airy knitted fabric is both durable and especially lightweight, fits perfectly, and stays in position securely. - Made of a fine mesh knit optimized for sport that focuses on breath-ability and durability necessary for an athlete. Machine washable (see product packaging for details).